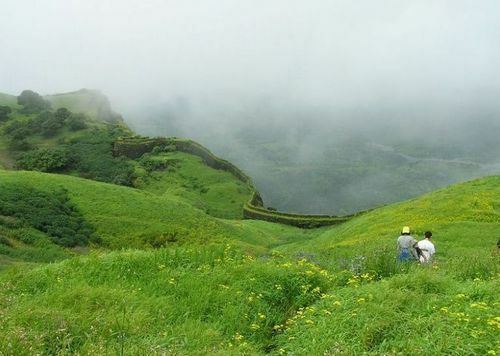 What's it like to Travel India in Monsoon Season? I am thinking about going to India for a month in July (only time off work) and would like to know what it is like to Travel India in monsoon? Does anybody have any experience of this? 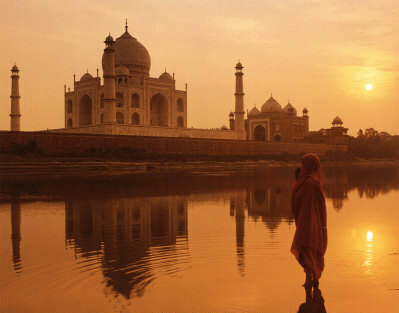 Planning to Go to Delhi taking in Agra then to Jaipur and making our way south to Goa. Just reading up about monsoon rains.. what's it like travelling then, is the rain non-stop and is it any good for a week in Goa? Hi Shane and thanks very much for submitting your question about what it is like travelling India in monsoon season. It is an interesting question as is the answer! First of all it is hot. If you're in India anytime after May it's going to be seriously hot, this is after all the Indian summer. On top of that it is wet. Wet and muggy but there are places to retreat to and hide from the oppressive heat and there are still a whole plenty very good reasons for travelling in India during the monsoon. The first thing that springs to mind is the wonderful lack of tourists and the serene lack of everything touristy. It can be hard pill to swallow what with many of the hostels closed for the season along with the associated backpacker bars, cafes and other general functions acting as resting places for the weary traveller.. But to many, this is not necessarily a bad thing.. If you have travelled to India before then you know that it's possible to get pretty much mugged by the touts at any tourist spot you go and the hassle that some tourists receive is enough to put anybody of travelling to India for life.. but India Travel in monsoon is bliss. They don't expect you to be there and thus they barely notice you. And the touts and hasslers that do notice you are different, they realise that you are not the 'average' tourist and they rather see you as rather amusing which is far more enjoyable than them seeing you with dollar signs in their eyes! I can't couch for the North but I know the south and spectacular beauty of places like Kerala and Goa in the Monsoon is enough relieve any of uncomfortableness inevitable when travelling in India. How much does it rain? Impossible to say on the whole but it is certainly wetter in South. The rains usually come every few days. On the coast there is more rain and places like Goa, Kerala, Karnatka, the Sahyadri mountains, Maharashtra and Orissa usually flood. The monsoon rains are highly unpredictable and states like Uttar Pradesh have seen droughts in the past during supposedly the wettest months. Despite the fact that most venues (bars, cafes, restaraunts and hotels etc) on the beaches of Goa are closed during the monsoon, the state doesn't shut down completely and you can always find places to stay and places to eat but just in the towns and villages to the back of the beaches. Some of the most popular beaches (rather the towns and villages behind them) to visit in Goa during the monsoon season are Anjuna, Bagan and Palolem. Things to do in Goa during when travel India in monsoon include thing like visit the various wildlife sanctuaries around the region, the various waterfalls, spice plantations, zoos and of course the beaches. There loads of festivals in the region as well which can find out about when yo get there. In general, it's hot, wet, sometimes sunny sometimes stormy but always chilled out and always cool.. just like it normally is :-) A great place to see the beauty of nature unravel. The wondrous spectacle of the Taj mahal, if anything increases in power under the dramatic Monsoon sky and the experience can really really be enjoyed because of the highly visible and distinct lack of tourists. The whole area is hot and humid and doing anything can be seriously hard work. Don't set yourself a too busy schedule because in India things like that just don't work in India. This rule applies to travelling to India at any time of the year! Tap into the knowledge of thousands of India enthusiasts! Simply type your question and press 'Ask' and your question will appear as a page on this website thus making available to 10s of thousands of visitors. TIP: Try and give as much information as possible to help others answer your question about India?